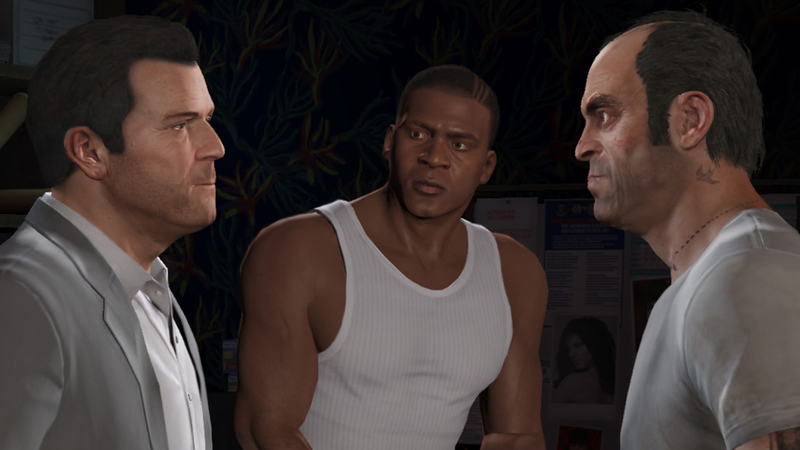 Video Game Analysis: Is “Grand Theft Auto V” a masterpiece? Almost two months ago the most anticipated game of 2013 was released. 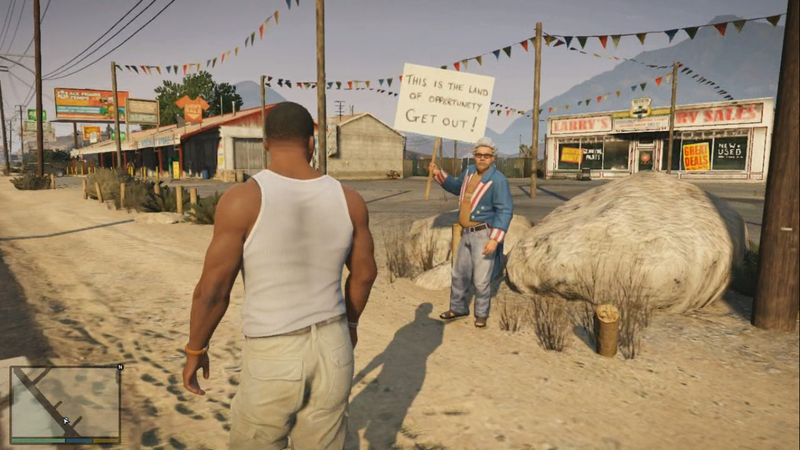 “Grand Theft Auto V” was (predictably) a financial and critical success. The game currently holds a 97 average on Metacritic. 35 different Video Game publications gave the game a perfect score. For comparison, “The Legend of Zelda: Ocarina of Time” (which ranks as the best video game of all time) holds a 99 (with fewer reviews). The addition of “Grand Theft Auto Online” had a shaky start, but now that all (or most of) the bugs are cleared out, and everyone has had time to experience both multiplayer and single-player, we ask: Is “Grand Theft Auto V” a masterpiece? “Grand Theft Auto V” is huge. Even with millions of gamers around the world actively playing, there is still uncharted territory and easter eggs being discovered. The civilians are doing more than mindlessly roaming, they are leaf-blowing, they are even fishing. It is astonishing how much life Rockstar has brought into even the little details. “Grand Theft Auto” isn’t usually a franchise associated with great graphics, and yet this world, in its monstrosity, is beautifully rendered and diverse. 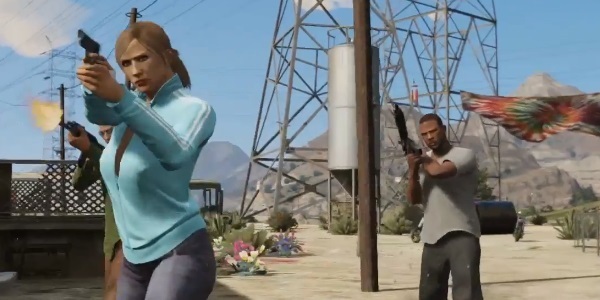 “Grand Theft Auto Online” had many issues, but it was a step forward for the franchise. 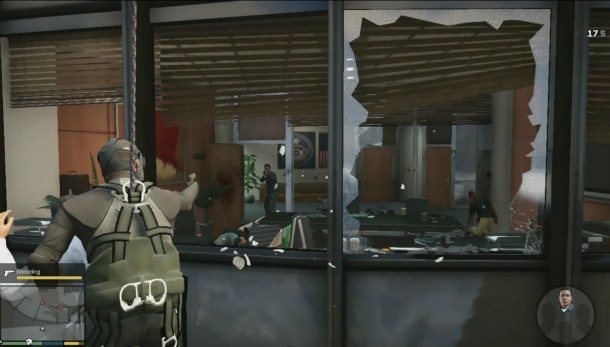 In earlier games, the single-player mode could hold a gamers attention for a long time, but with the progression of the “Halo” and “Call of Duty” franchises, Rockstar understood that they could keep a player addicted for even longer by giving the franchise a strong multiplayer. This was explored in “San Andreas” and “Grand Theft Auto IV” with a minimal effect. Like “World of Warcraft” and many games before it; it was a matter of time before the franchise took the path of an MMO. They pushed the console capabilities to their limits to give us just that. I have stated before that the honor of the term “masterpiece” cannot be given to anything younger than 10 years. At this time I wouldn’t call “Grand Theft Auto V” a masterpiece. It may not even be the best of the year. It is a good game with a good (but not great) story that delivers a tremendously high replay value. Naughty Dog’s “The Last of Us” may have a stronger lasting impact with its excellent story. We discussed the art of the video game story last week. I wouldn’t say it now for either of the titles, but I can easily see both titles being considered pivotal points in video game history. We have reached the end of an era. The Xbox One and PS4 are around the corner. The longest console run in history has come to an end and “Grand Theft Auto V” is one hell of a way to end it. “Grand Theft Auto V” took our Xbox 360s and took our PlayStation 3s and pushed them to their limits, showing us exactly what our consoles have been able to do, right before we put them to bed. It is almost poetic. “Grand Theft Auto” is a franchise put together with the simple idea of “what if the cops tried to run them off the road?” A franchise pushed forward by its risk-taking controversies game after game. These controversies have never been by accident, they have been placed strategically and have assisted in making “Grand Theft Auto” one of the biggest and most popular franchises in video game history. A franchise that will be studied in Video Game History classes for many centuries to come. When all is said and done and “Grand Theft Auto V” isn’t considered a masterpiece, then I’m sure the next installment, with the capabilities of the next-gen consoles, will break more serious ground and possibly change console-gaming forever.